By running your data against the UK Business and Consumer Universe, we match over 4 million unique workplaces, over 8 million business contacts and 40 million marketable consumers to assess the current status of your data. We also compare against suppression files to identify incorrect emails, 'gone-aways' and check your data against the latest suppression files. How quickly can you fix my data? Once we receive your data, a Blue Sheep Data Quality Audit can usually be ready within 48 hours, whatever the database size. Following the audit we can run a full data cleanse and data enhance within another 48 hours. How do you extract the data? We are aware that data extraction can be tricky, which mean there may be questions that need to be asked to ensure you get the correct data out in the right way. We also need an audit trail to ensure the data goes back in the right way, too. However, we understand data, CRM systems, data extraction and data loading techniques implicitly, and are here to remove any challenges you face. When should I undertake a data enhancement or data cleanse? There are many reasons for wanting to get your data cleansed and enhanced. For example, when migrating to new CRM or marketing automation technology, when campaigns are underperforming, or for compliance with data protection laws. Sometimes it's just when a 'spring clean' is overdue, and you need to get your data in better shape. Through data cleansing, the results of your campaigns will improve immediately and this success can be maintained through a programme of constant data cleansing. That's why 90% of our clients use our services continuously, to uphold the quality of their data. Whether it be daily, weekly or monthly cycles, we'll work with you to understand the recommended frequency for cleansing. Do we keep your data safe? Of course. 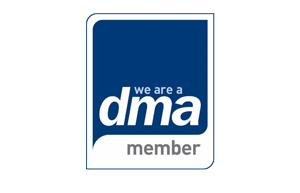 We will arrange all the appropriate non-disclosure agreement (NDA) paperwork for you and, with ISO27001 accreditation, we provide the highest level of data security to ensure it is protected throughout the process. When will I receive my FREE Data Quality Audit? Once we have received your data and run the analysis, you should expect a full, six-page report within 48 hours. You're just 48 hours away from more accurate, more efficient and more profitable marketing.  Fill out this form and one the Blue Sheep team will be in touch soon to help you take your important first steps towards transforming the effectiveness of your marketing efforts.